press release 2018.12.07 - ZYLIA PORTABLE RECORDING STUDIO. MULTI-TRACK MUSIC RECORDING WITH ONE MIC. Zylia, the Poland-based manufacturer of multi-track audio recording technologies, today announced that its acclaimed ZYLIA ZM-1 microphone is now available for sale in the United States. Designed for bands and musical ensembles, sound engineers, podcasters, and audio creatives working in 3D audio, Ambisonics, and virtual reality, the new ZYLIA ZM-1 is an incredibly light, compact, and beautifully designed recording solution capable of delivering 48 kilohertz/24-bit resolution while capturing the full spatial sound scene. ​The microphone is available for purchase on-line in the United States through B&H. 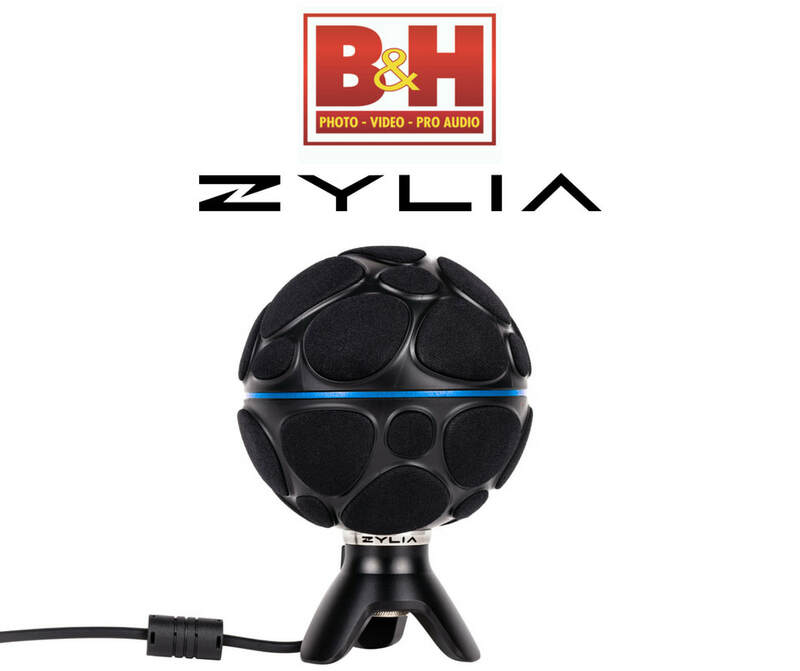 ​The ZYLIA ZM-1 is a spherical microphone comprising 19 high-quality MEMS microphone capsules and offering 360-degree sound capture that can be configured and manipulated using ZYLIA Studio, ZYLIA Studio PRO, and ZYLIA Ambisonics Converter software. The ZYLIA ZM-1 can autodetect sound sources from around the microphone and then capture that sound into the software as separate tracks for further editing on a digital audio workstation. The system is very portable and requires only a USB connection to Mac or PC for both data transfer and power supply.